Many are familiar with the international intellectual property battle that has been raging in recent years between mobile computing device developers Apple Inc. (NASDAQ:AAPL) of Cupertino, CA, and Samsung Electronics Co. (KRX:005930) of Seoul, South Korea. Apple has been accusing Samsung of being a principal imitator of its technologies since April 2011, after which Samsung has countersued, alleging infringement of its own patents. In total, there are twelve patents involved in the case, seven which are owned by Apple, and five owned by Samsung. In recent months, Apple has had the upper hand on Samsung, which was ordered by the Federal Circuit last fall to pay a $548 million judgement against the corporation. In late January, however, an inter partes review (IPR) request filed with the Patent Trial and Appeal Board (PTAB) throws the future of one of the Apple patents involved with this case into question. IPR2016-00500, filed by Intellectual Integrity, LLC, of Frisco, TX, challenges multiple claims in Apple’s U.S. Patent No. 7864163, titled Portable Electronic Device, Method, and Graphical User Interface for Displaying Structured Electronic Documents. This is one of only three utility patents owned by Apple brought up in its infringement lawsuits against Samsung. This also marks the first time that an IPR has been requested to review one of Apple’s many patents. The Apple patent challenged in IPR, the ‘163 patent, has been sometimes referred to as the ‘touch-to-zoom’ patent because it covers zoom display techniques which can be implemented in an electronic device. There are three claims in the patent which are challenged: claims 2, 50 and 52. Claim 2 is directed at a computer-implemented method of displaying a plurality of content boxes, detecting a gesture on a displayed portion of content boxes, determining a box at the location of the gesture and enlarging the box so that it is substantially at the center of the display. Claims 50 and 52 are directed at portable electronic devices including processing and electronic components for carrying out the computer-implemented method outlined in Claim 2. The IPR filing claims that the methods and devices involved in the challenged claims were completely anticipated in prior art that existed before September 6th, 2006, the earliest priority date for the ‘163 patent. Interestingly, this IPR has been filed on an patent Apple is trying to enforce upon Samsung for royalties, but Samsung didn’t file the IPR. In fact, Intellectual Integrity, which is run by sole proprietor and managing member Ronald Burns of Frisco, TX, has not been accused by Apple of infringing upon that patent. 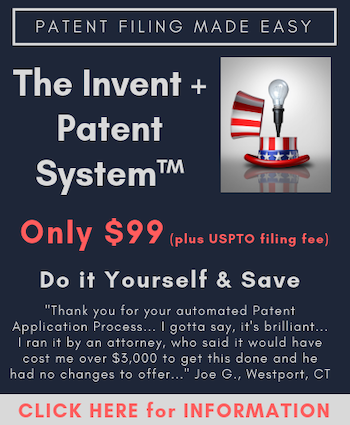 Despite no noticeable legal impetus for the IPR filing, Intellectual Integrity still has the legal grounds to file such a request with PTAB thanks to the 2011 America Invents Act (AIA), a piece of federal legislation which allows any party other than the patent owner to challenge a patent’s claims through the IPR process as long as that party has not previously challenged the validity of that patent in court. The grounds for invalidity which Intellectual Integrity argues makes the aforementioned claims obvious involves a June 2004 reference paper referred to as “Harada,” a copy of which we were unable to find. According to the IPR filing, the Harada paper counts as prior art and discloses browser style user interfaces for touchscreen devices, including cell phones, digital cameras and PDAs. Intellectual Integrity also argues that Harada discloses the technique of tapping on an image to enlarge and center that image on a display. The filing also includes some screenshots from a May 2003 user’s manual for a Hewlett-Packard printer, the HP H5500, which invoke the printer’s ability to resize images on a display. The filing states that, because the HP H5500 is both a computer and a portable electronic device with a touchscreen display, the claims in Apple’s ‘163 patent are anticipated. Nobody’s carrying an HP printer in a pocket, but there is a truth to the sense that it is portable in that it can be moved from room to room. It would likely require a plug connected to an electrical outlet but it does technically move. As for the charge that the HP H5500 is a computer, it’s also true that the device has a display, a processor and a memory, which are bare minimum requirements for a device that could be considered a computer. Further, the HP H5500 uses the Microsoft Windows Mobile 2003 operating system, further allowing Intellectual Integrity to make the assertion that the device is a computer. This IPR filing would not invalidate the entirety of Apple’s ‘163 patent and it leaves 58 other claims intact, including the first claim. It’s also tough to tell what the motives are for filing this IPR. We’ve talked before on this website about how some have used the IPR process for financial gain, most notably among them including hedge fund manager Kyle Bass, by challenging a patent and short selling that company’s stock. Some observers of the situation have suggested that Intellectual Integrity is trying to challenge the patent in order to obtain some of the revenue stream for that technology which is integral to smartphone operation. However, to do that, Intellectual Integrity would have to have its own patents in that tech sector and we couldn’t find any patents assigned to that company, according to Innography’s patent portfolio analysis tools. What makes this situation even more unique is that, although this is the first Apple patent challenged through an IPR, Apple is very familiar with the process. Since the PTAB began accepting petitions for post-grant patent review, Apple has filed 252 PTAB trial petitions, the most among any organization according to a recent PTAB report issued by Lex Machina. A total of 197 of those PTAB petitions requested an IPR. Interestingly, Samsung is second-place in this respect by having filed for 155 PTAB trials, including 141 IPR requests. Accord to the PTAB report, less than 3 percent of patents complete the IPR process with all of its original claims left intact. 18 percent of the time, all of the claims petitioned for review are invalidated by the PTAB trial. That’s stunning. I guess that means that 97% have claims invalidated or changed? If I understand correctly, almost all IPR’s are against patents in litigation. If only 3% of the claims are left intact, I wonder how many of the cases in litigation are disrupted by the changed or invalidated claims. How many are forced to settle for peanuts? How many cases are lost altogether? What percentage of the monies paid into the USPTO BILLION dollar annual budget is going to support examination – in the first instance – that is so shockingly dismal (even including the notion that there is a self-selection bias towards “bad” patents being included in that pool that generated the horrific number)? Let’s not forget that the entire USPTO budget is funded by innovators seeking a valid legal protection for their assets. I have not seen a line item budget from the Office, but if that “less than 3 percent” number is ANY indication of the integrity of the Office and reflects the return that innovators pay in, then this debacle of current examination “quality” needs immediate rectification. @Paul – I feel that I should clarify a point, or maybe I’m just misunderstanding you. The 3 percent figure indicates that, yes, only 3 percent of patents petitioned through IPR at PTAB come away completely unscathed. However, the remaining 97 percent don’t have all of those claims eliminated; often, only one or a few claims out of many petitioned claims are affected. There are instances where all the claims are invalidated, but that figure is less than 97 percent. Also, many IPRs, like the one discussed in this article, only challenge a few claims and not the entire patent. I only mean to clarify on that point. We’ll be running an article soon that looks at the aformentioned PTAB report to explore this more deeply. Steve, I understand. However, claims are selected by the challenger who is normally the infringer or an agent of the infringer. Because they are selected, they are key claims. I suspect in most cases infringement will stand or fall on those claims alone. In the details of comparing a patent claim to an infringing product, changing one word can make the difference between infringing and not infringing. That’s why claim construction is so important in litigation and a case call fall apart with a bad definition of just one word. Changing a single word in a dependent claim can similarly negatively effect a damages model. My question may be nearly impossible to answer, but the answer to how much damage this causes in litigation helps quantify how damaging PTAB’s actually are. I have to chuckle as even when you agree with me, your view of the patent world is just not correct. Here, your reliance on market implementation indicates a critical misunderstanding of the role and value of patents. There is NO such requirement in all of US patent law that the Quid Pro Quo result in any such market implementation. Do you understand why that is so? Of course I understand that market value is not a pre-requisite for a patent. I also understand the concept of a wasting money on obtaining property rights with no conceivable return on investment (something apparently lost on at least some of the commentators here and certainly on some inventors). I’m also surprised at your apparent inability to comprehend the content of my previous comment. You say that I am unable to comprehend the content of your previous comment, while it is you that fails to comprehend my reply to your comment. This is evident because you did not even attempt to answer the second question, and instead sought to “double down” by returning to a notion of the first with your attempt to insert a “wasting money” point. Once again, you are wrong, albeit wrong in a subtle – and yet still critical manner. Wasting money or not is simply NOT material to the point under discussion. Further, there ARE situations wherein NOT having a product and yet having patents is NOT a waste of money. For example, patents can create buffer zones to keep out competitor encroachment. The point here that you are being far too glib to is that the patent bargain NEVER has been so tied to the notion of having products in the market as you seem to want. Instead of saying “of course I understand,” and then adding a comment that shows that you do NOT understand, take a giant step back and realize that you are STILL trying to insert a “have product” mindset. No, you still haven’t understood my comment. Perhaps you have never read a patent which has no value. Claims, for example, covering products which run afoul of safety or technical regulations and cannot be legally sold, or methods which are undiscoverable, or, in at least one occasion I noted, patents which by their own definition are uninfringeable (I’ll give you the reference if you ask nicely), or claims with so many non-interdependent limitations that only an exact one-to-one duplicate of the whole product would constitute infringement. Anon, I basically agree with you and add that the USPTO acts as if it is the applicant’s fault that they ended up with claims that are invalid. A burden shifting. Crazy stuff. It is close to an admission that the PTO is getting closer and closer to a registration system. Benny, you do seem to enjoy being wrong when it comes to patent law. Your (attempted) points are not germane. By its definition, a patent has value based on the Quid Pro Quo. BY this I mean a valid patent or course, one that meets the legal requirement (among others) of having utility. You also may want to talk about damages (recoverable or not) – again not germane to the legal point here. You also may want to talk about likelihood of infringement – again not germane to the legal point here. Sorry Benny, but your non-law perspective is once again tripping you up. Steve, why would an individual challenge an Apple patent that has just received a damage award in excess of $500 million, where upon a payment, the IPR might settle? The blog post author will note that the “but it does technically move” argument for construing a prior art device as inherently portable has already been rejected by the Federal Circuit in In re Giuffrida, 527 F. App’x 981 (Fed. Cir. 2013) (nonprecedential). It is not entirely accurate to say that the Federal Circuit has considered and rejected anything in a nonprecedential case. By its very nature the designation nonprecedential means that there is no precedential value to the ruling and no other panel is bound. Perhaps the PTAB will find Giuffrida instructive. They find a great many things persuasive that are of questionable value. The HP device mentioned, but not relied upon, is an HP iPAQ Pocket PC h5500 Series. It is a “palmtop” computer, not a printer. Under the Broadest Reasonable Interpretation standard, the Board is not likely to view “portable” the same way the CAFC did.